Allows you to animate a mask shape using expressions. 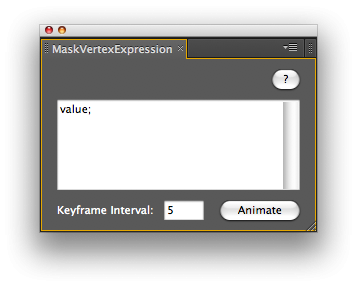 Use "value" to refer to the current vertex position. Use "thisProperty.propertyGroup(1).propertyIndex" to refer to the vertex index.